Gina Wherry is a dedicated supporter of the Philadelphia Phoenix and brings years of trusted service to Philadelphia area home buyers and sellers! 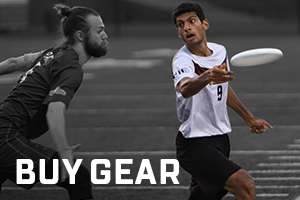 Universe Point cleats, the official footwear sponsor of the Philadelphia Phoenix, are made specifically for Ultimate Frisbee, and developed with the help of athletes from top college teams and the American Ultimate Disc League. Wallace and Nilan Physical Therapy is the Official Physical Therapy Partner of the Philadelphia Phoenix. They deliver personalized treatments for a variety of conditions and diagnoses, with strategies designed to help you get better, and stay better. DiscStore.com is a proud supporter and official sponsor of the Philadelphia Phoenix. Pick up your next disc from DiscStore.com! Wissahickon Brewing Company (WBCo) is a family owned and operated production brewery & tasting room located in East Falls, Philadelphia, PA. Locations in Ardmore, Allentown, Bethlehem, Chalfont, Havertown, Pottstown and King of Prussia!